From the living conditions to the campuses, colleges pose new risks to kids feet. Preparation is the key to success - when it comes to grades as well as your feet. Whether it is you or your child that is now away at school to further your education, this is a huge adjustment. Beyond the stress (or seen as excitement by some) of new friends, new places, new classes there are changes that happen when starting or going off to college. Those changes which can impact your feet can be related to both the size and type of campus as well as the living conditions. For those students who choose a larger institution, there will be an increase in walking (and if you are getting used to waking up on your own running too). For some campuses, the walking can include hills that you aren't used to. And the climate may be different too. Having gone to a school in the midwest, I can attest to this. Being prepared is key to success in college and this is true of being successful in keeping your feet pain-free and disease-free. As foot doctors, we can't say enough how important it is to wear shoes that are appropriate for the activity you will be doing and the conditions you will be exposed to. During the warmer months or at warmer schools, walking shoes that are in good condition are a must. This helps to keep feet from getting fatigued and also helps reduce risk of overuse conditions such as tendinitis. 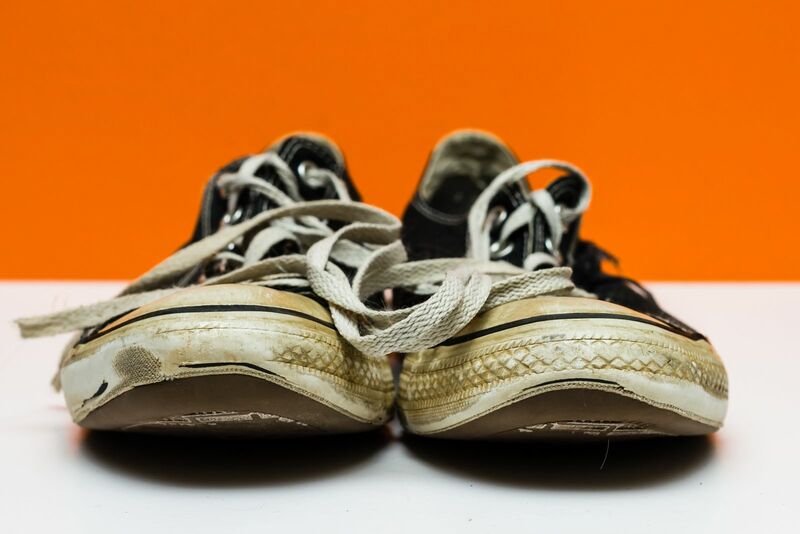 Keeping track of your mileage can be difficult with all the other work and studying you do, but getting new shoes each quarter or trimester is a start. During the colder months, it is essential to wear warm socks and waterproof boots with soles that limit slipping. Frost bite and frost nip are not conditions of the past - we see this more commonly at our office than you may believe. Keeping your feet dry and warm helps prevent this. As far as living conditions are concerned, the most risk is of course associated with cohabitation. Sharing of showers and bathrooms means more possibility of contracting fungus on the feet or in the nails as well as warts. Shower shoes and the use of antifungal/antibacterial shoes sprays can help to lower the fungal and bacterial load that can lead to infection. Lysol is NOT recommended, but our office carries a reat spray if you need one! Whatever you do, resist the temptation to pick at or cut out ingrown nails. Infection risk is much higher in these cases. Just look for a podiatrist near your campus if you are worried that you might have a problem!